This new Ford Fiesta recall pertains to model year 2011, 2012 and 2013 hatchbacks and sedans built between November 3rd 2009 and September 21st 2012 with a total of 154,604 units affected in the United States. In these vehicles, the side curtain airbag will not deploy in the event of an accident without someone seated in the front passenger seat. When this happens, anyone riding in the rear passenger seat will not be fully protected from the impact or from the flying glass and debris during the accident. Interestingly, this recall isnt because the airbag does not deploy in some situations as that is how the system is designed but rather – the recall is being issued because the owner’s are not properly informed of how the system works. The Ford Fiesta is equipped with a side curtain airbag system that is programmed to deactivate the side curtain airbags when no one is seated in the front passenger seat which helps prevent unwanted and unneeded airbag deployment in the event of an accident. Unfortunately, there may be accidents where there is someone seated in the rear passenger side seat who will not be protected if the system is deactivated due to the front passenger seat being empty. Even though this system is designed to function like this, the fact that it is not specified in the owner’s manual puts the Ford Fiesta in violation of the Federal Vehicle Motor Safety Standards No. 208 pertaining to "Occupant Crash Protection." While the fact that the owner’s manual of the 2011-2013 Ford Fiesta doesn’t explain how the side curtain airbag system works might seem like an excessive reason to issue a recall, having the owner know about an aspect of the system like the side airbag not opening when no one is seated in the front passenger seat could make a big difference in terms of safety during an accident. Parents out there probably have driven someone with a young child and if you are driving by yourself, you generally put the child in the rear passenger side so that you can look over your should at the child during the trip. However, if that same parent knew that the side curtain airbag would not open if there was no one in the front passenger seat – that parent would most likely have the child sit on the driver’s side which in turn makes the car safer. Ford Motor Company will remedy this issue by reprogramming the safety restraint system controls to allow the passenger side curtain airbag to open whether or not there is someone seated in the front passenger seat. Granted, this could lead to airbags opening on that side in the event of an accident but a “wasted” airbag is better than a child hurt by flying glass during an accident. 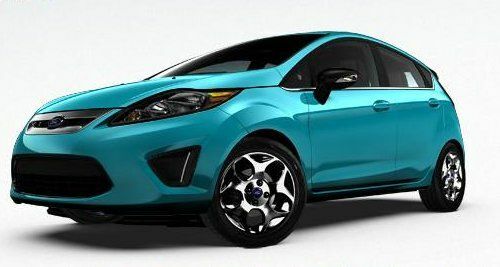 This new Ford Fiesta airbag recall is expected to begin very soon, at which point owners will be asked to return to their local dealership to have the airbag system reprogrammed. Owners interested in more information can contact Ford Motor Company at 1-866-436-7332 in reference to recall campaign number 12C26.